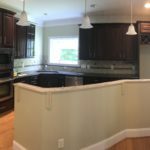 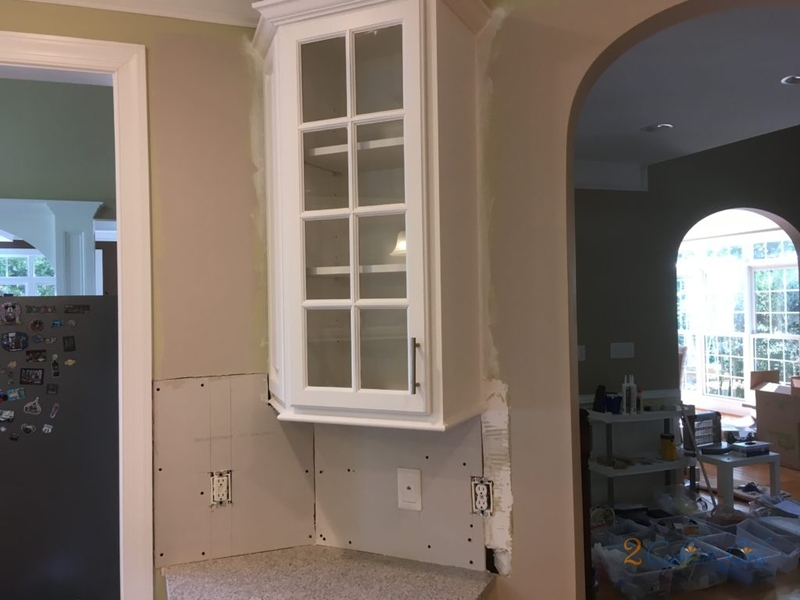 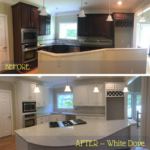 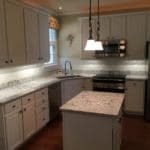 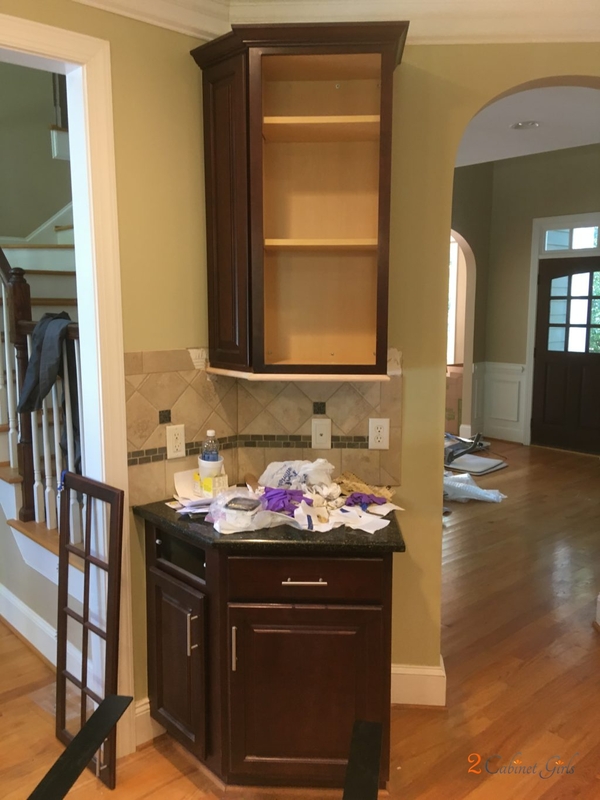 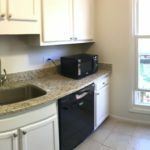 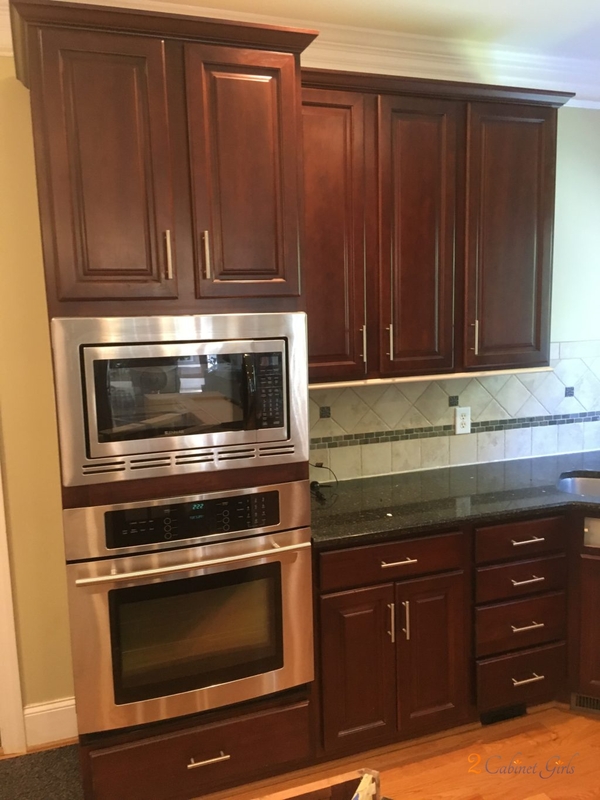 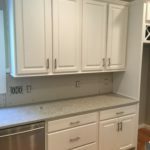 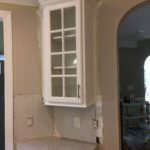 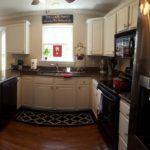 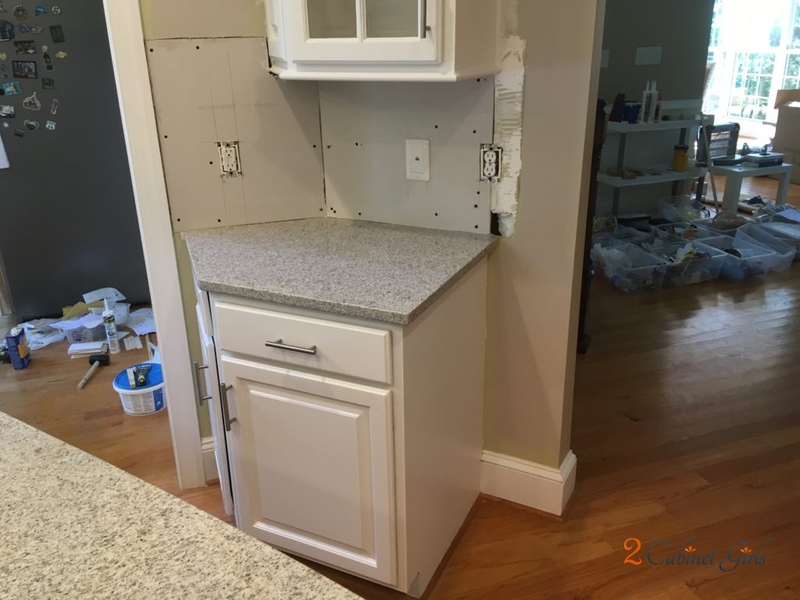 This Wake Forest, NC kitchen was getting a major overhaul. 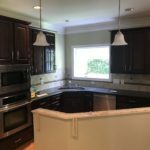 Our homeowners had just moved in and they were desperate to make it feel more like home. 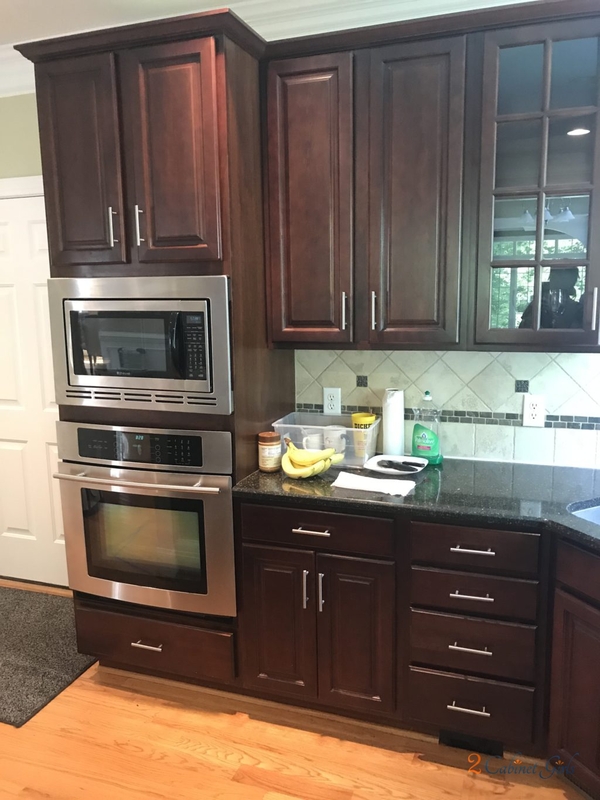 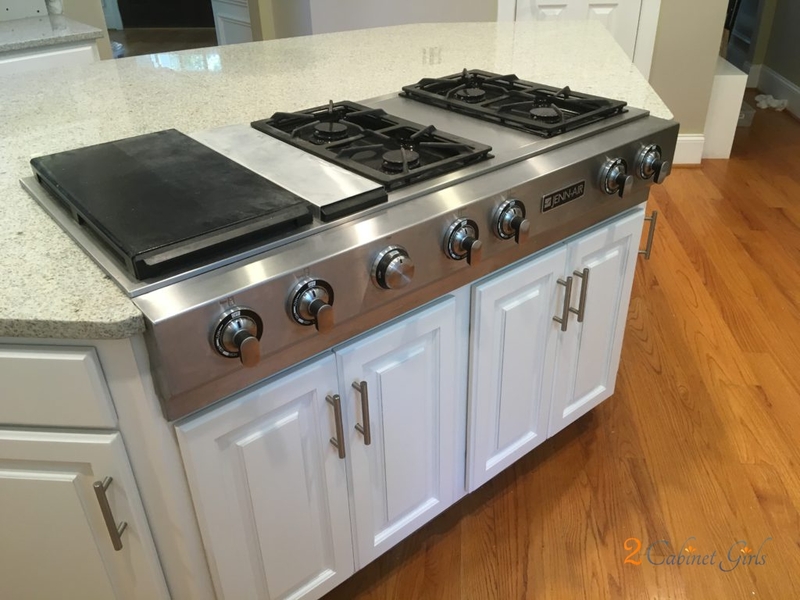 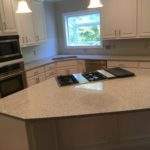 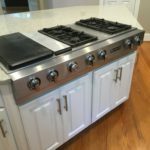 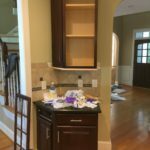 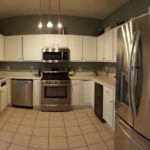 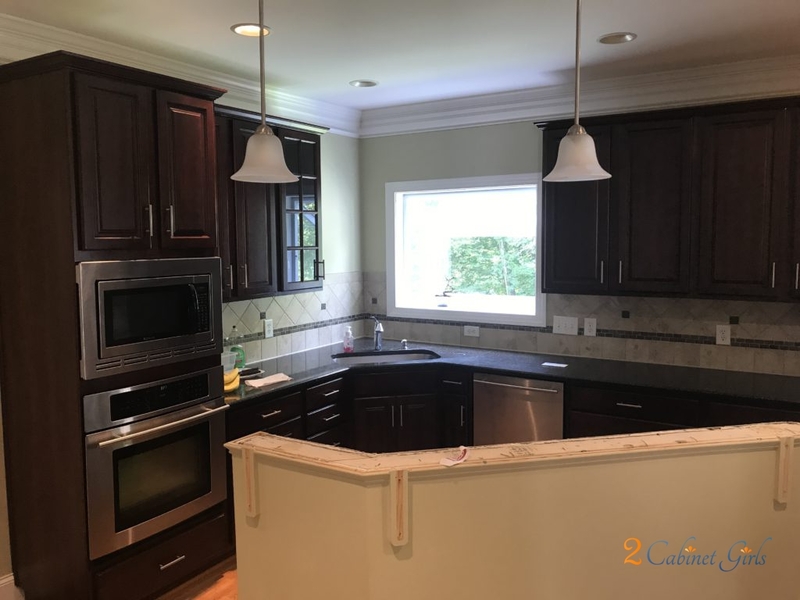 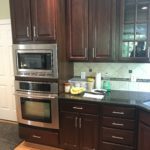 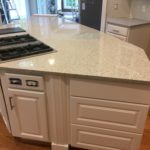 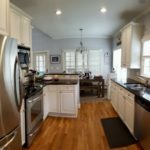 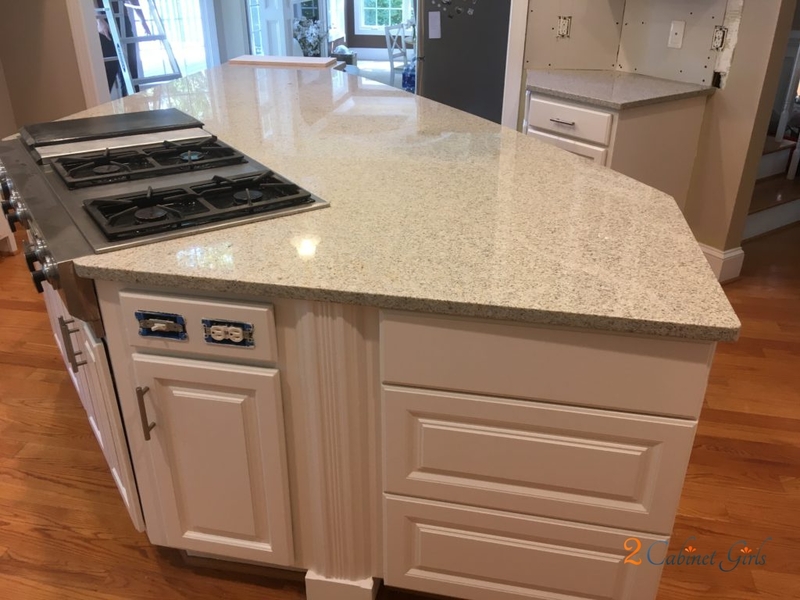 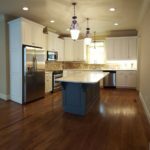 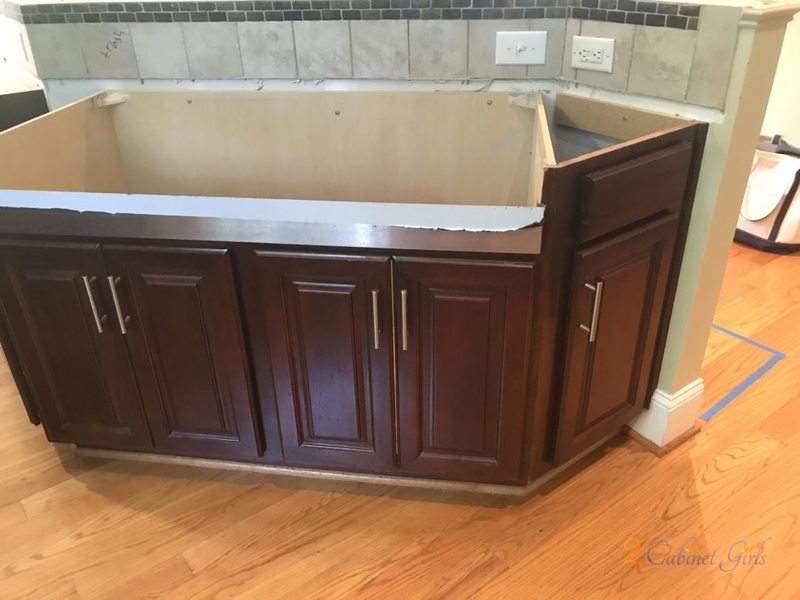 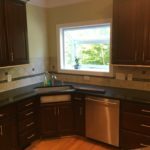 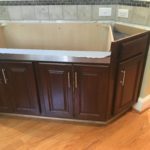 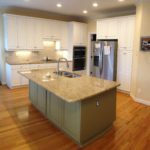 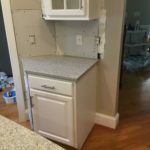 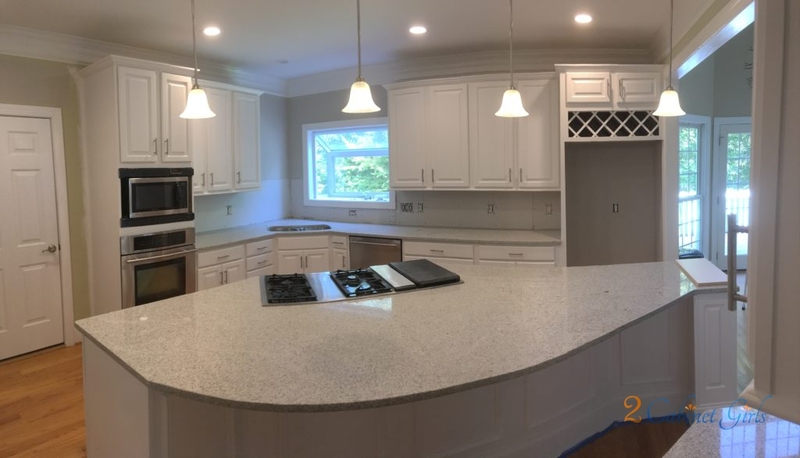 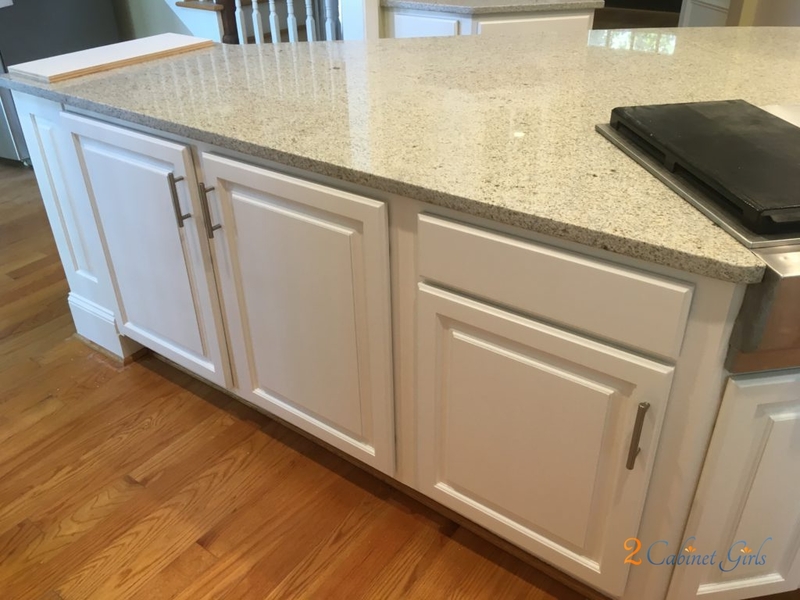 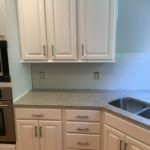 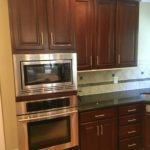 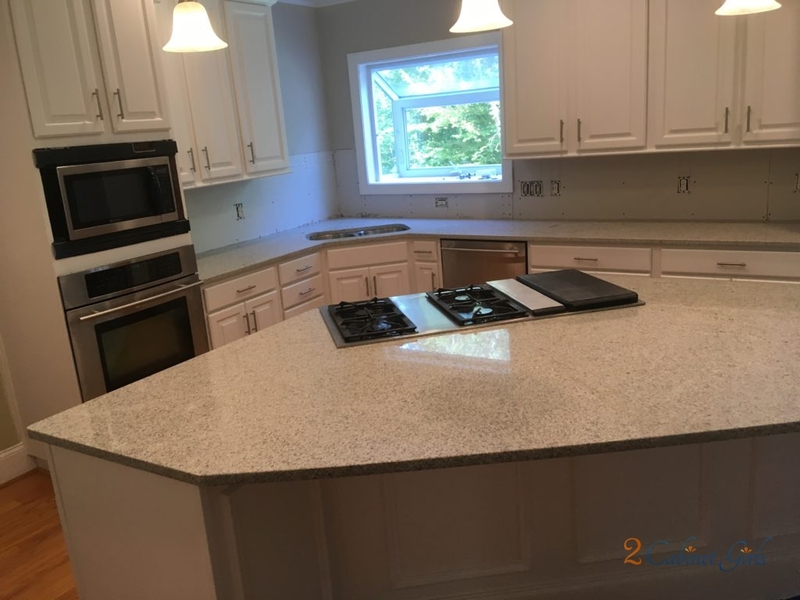 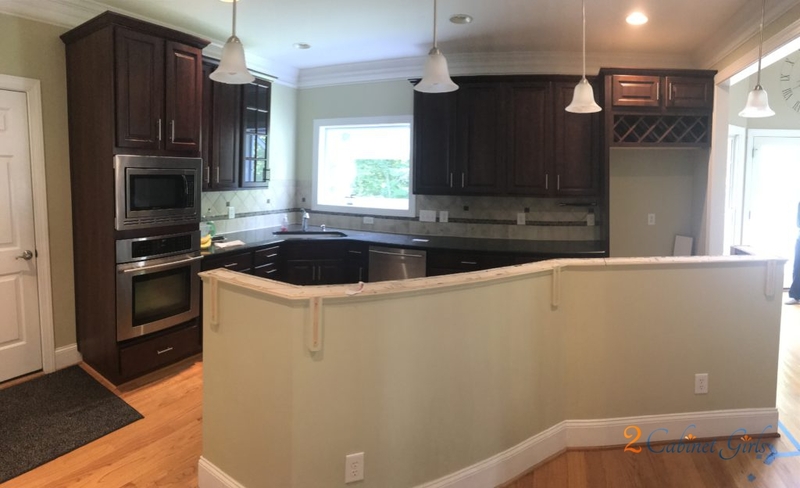 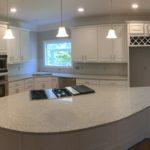 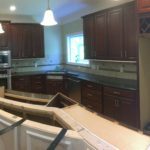 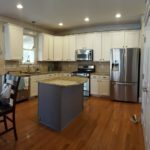 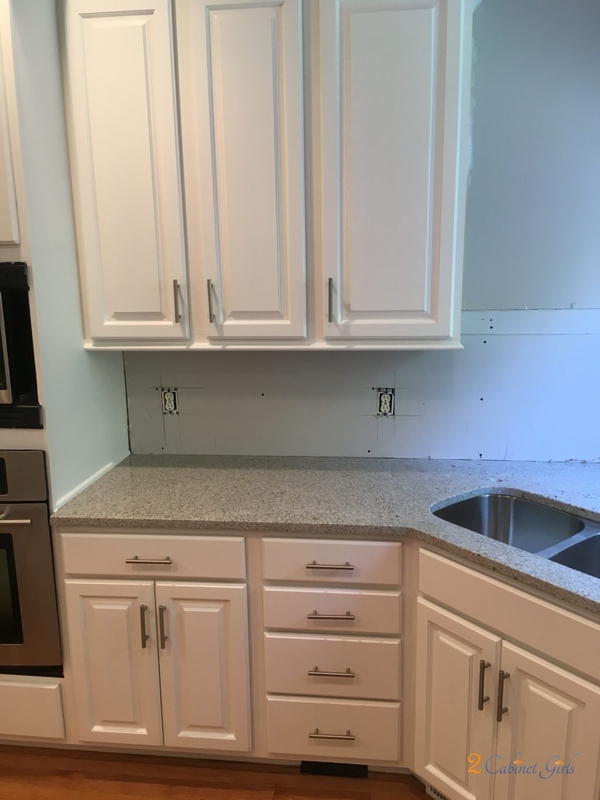 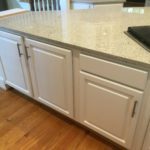 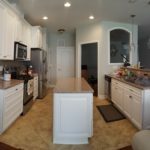 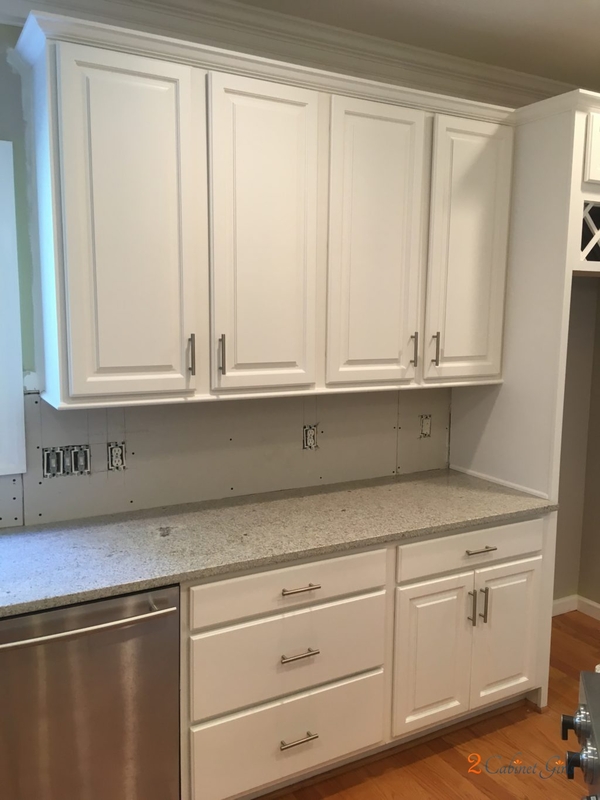 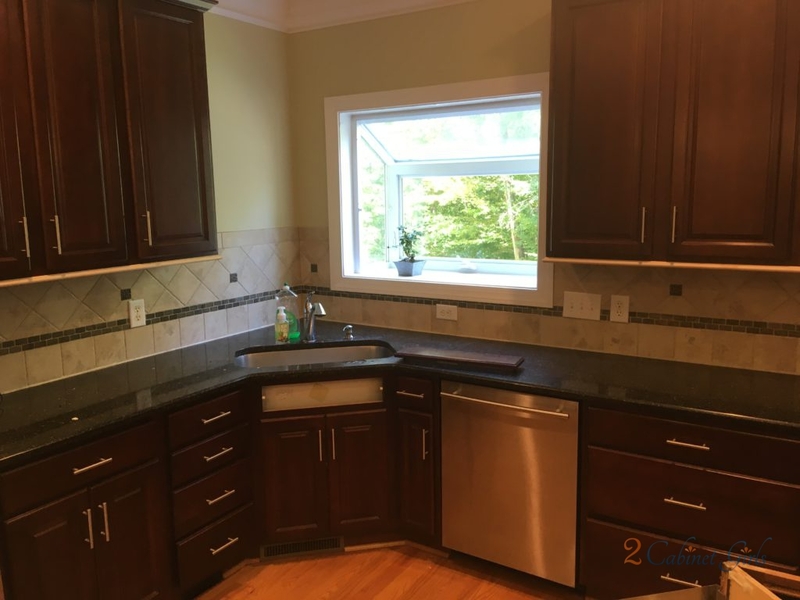 They started by cutting down the bar height counter on the back of the island, which resulted in an enormous island with tons of extra counter space. 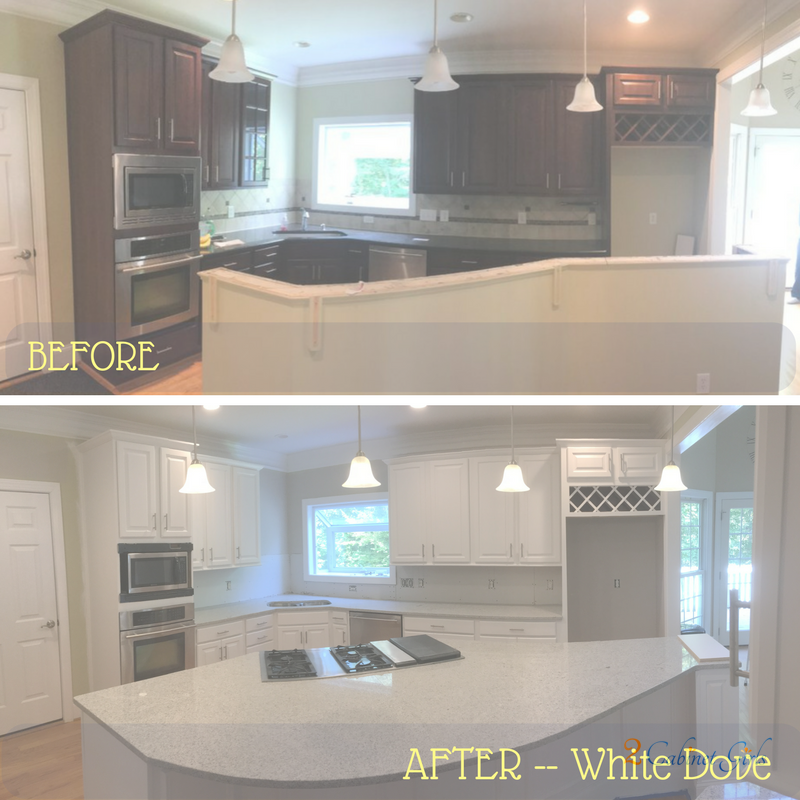 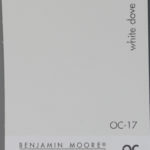 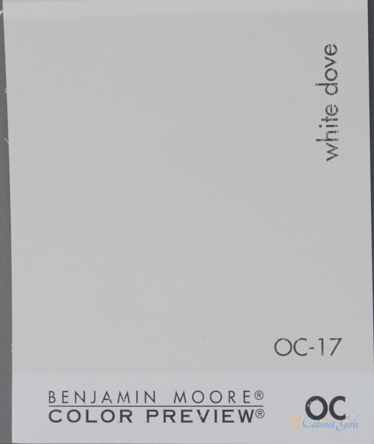 Painting the cabinets Benjamin Moore White Dove gave the space a fresh, inviting feeling and helped make the kitchen feel enormous!